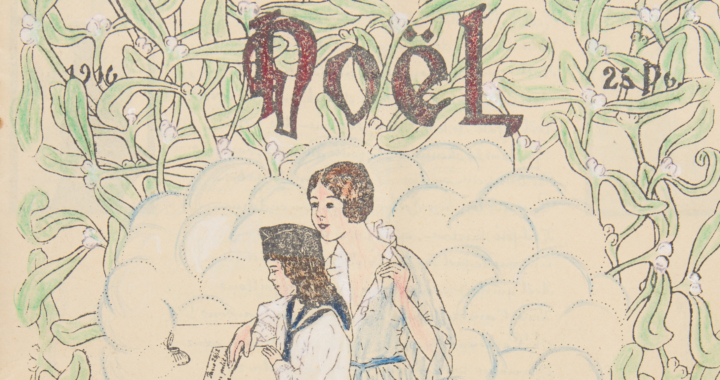 Get into the holiday spirit through our collection of Christmas and New Year themed documents. Although there is no 2018 Christmas Run competition, we still invite you all to read, transcribe and re-discover cherised memories from the holiday season 100 years ago. Review and complete the wonderful work from our Christmas transcribers of past years. Happy holidays from all of us at Transcribathon! FRAD077-040, Noël Eugène Baffert, conducteur d'auto-projecteur de signalisation.Noël Eugène Baffert, driver of car with searchlight. The Christmas Run 2017 has ended. Congratulations to our 2 tied winners, Gabriele Kister-Schule and Thomas Lingner, and runner-up, Pierre Meinig. All three of them transcribed a total of 686,718 characters during the course of the month-long Run. A big thanks to our Top 3 and all who participated during the holiday season! It’s that time of year again, and what better way to spread the holiday cheer than through a fresh batch of Christmas and New Year themed documents to transcribe over the festive season. Even during warfare, the holiday spirit carried on. For those far away on the front, as well as the families left at home, small momentums like postcards, photographs and poems kept their hearts warm during the year’s coldest months. Join us in bringing these warm memories back to life by transcribing and annotating these rare glimpses into the sentiments and festivities of Christmas and New Year 100 years ago. -- an entire month to get into the spirit of the season and discover our great selection of documents. All documents worked on during this time will be considered as part of the Run. Congratulations to Corinna Pichler, David Gadiou and Sue Bryant, our Top 3 champions of the Run. In recognition of their outstanding effort, our three winners will each receive a copy of HIDDEN STORIES OF THE FIRST WORLD WAR by Jackie Storer. The British Library publication brings to life some of the most well-loved stories of Europeana 1914-1918. We also want to congratulate all of our transcribers for their hard work in this special Run. Together, we have transcribed over 1,600 documents and more than 1.5 million characters in six languages in the short time of a month– what an incredible feat! Thank you very much to everyone who took part. We also welcomed 80 new recruits during the course of the Christmas Run, with some of them reaching champion level not long after signing up. Their commitment has been very inspiring. We hope that all of our recruits, runners and champions keep up the great work in the New Year 2017. Join the Christmas Run 2016! 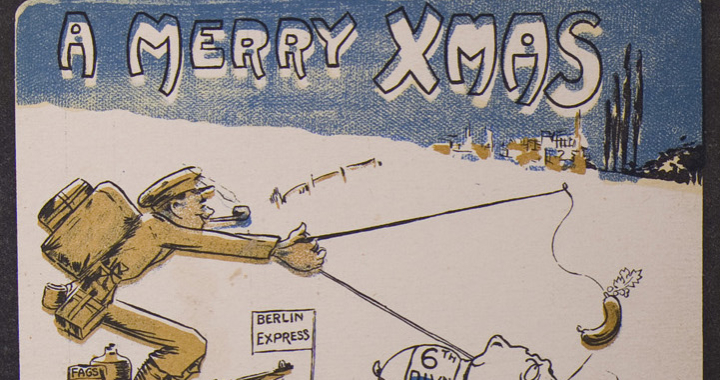 When war was declared in August 1914, many thought the fighting would be over by Christmas. For many, Christmas was a time of goodwill towards others, a time for family and a celebration of light and peace. But the war was not over by Christmas. In fact, many soldiers spent more than one Christmas away from home. In the short and dark December days, as the temperatures dropped and the fighting slowed down, families kept their thoughts on their loved ones at the front. 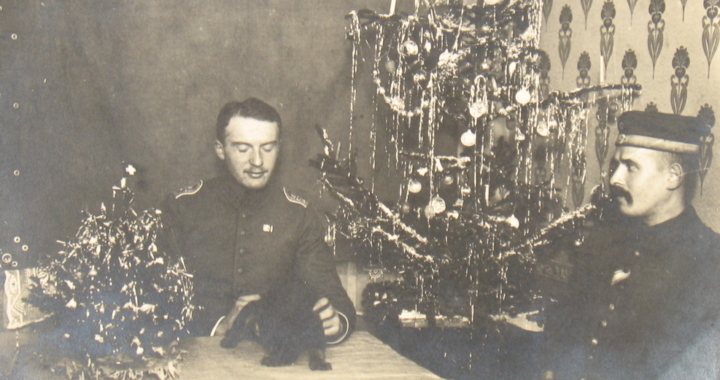 Aware that they would be absent from the festivities of the season, soldiers from all across Europe sent seasonal greetings in long letters and on postcards. 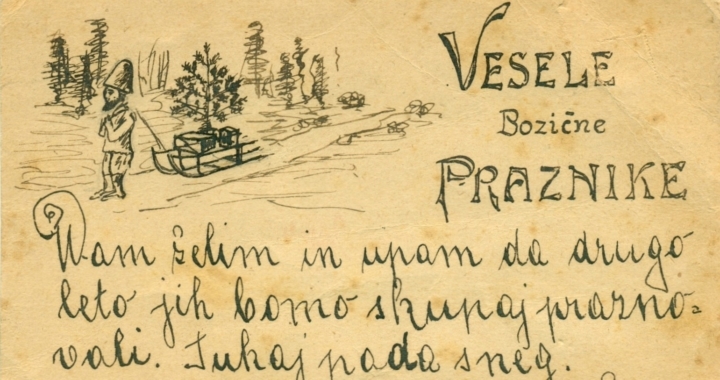 Many of these personal documents, in different languages, are waiting to be read again. Bring these unique, heartfelt testimonies back to life by transcribing the letters, notes and poems that were written 100 years ago! Léonce Desbureaux, voeux de fin d'année à sa femme Clémence, décembre 1914.